At the age of 73, my dad has passed away. He fought long and hard! He was first diagonosed with stage four lung cancer which spread to form a brain tumor which was removed on Christmas in 2007. Dad was told he had a 2% chance of living 2 years. He fought through brain surgery, lung cancer, pneumonia, pulmonary emboli, blood clots in lower half of body, chemo, radiation, back fracture, neck tumor, near complete closing of esophagus, stomach g-tube, and more. My dad was not one to ever give up on anything. These are photos I took with my dad a couple days ago. Long story, but Norm Miller (CEO of Interstate Batteries and founder of http://www.iamsecond.com/ ) used to be a client of my dad's. Norm and many other celebrities autographed this book that I gave to my dad. This book was the conversation piece that enabled me to communicate with dad about his faith in Christ. "To be absent of the body, is to be in the presence of the Lord. "-2 Corinthians 5:8. One of the videos I showed my dad was of Brian “Head” Welch, former lead guitarist for the band Korn, whose life was spinning out of control. Gerald Glynn Crutsinger, Sr., 73, passed away peacefully surrounded by family on Monday, Jan. 23, 2012, from complications of lung cancer. Dallas, TX 75211. A memorial service will be conducted that afternoon at 1:30 p.m. at First Baptist Church Carrollton, 2400 Josey Ln, Carrollton, 75006. 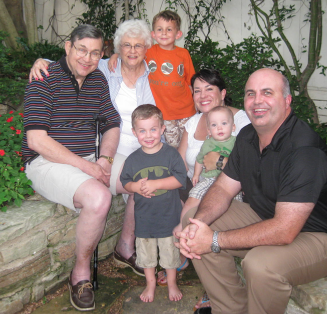 The family will receive visitors 6-8 p.m., Thursday, Jan. 26, 2012, at First Baptist Church Carrollton. Gerald was born Dec. 13, 1938, in Brownwood, Texas. He is survived by his wife, Carla; sons Glynn, Sam, and Howard; grandchildren Hunter, Travis, Cooper, Benjamin, and Cole; mother, Dorothy Crutsinger. He is preceded in death by his father, Harold D. Crutsinger, and brother, Harold R. Crutsinger. Gerald graduated from Wichita Falls High School. As a lifelong Longhorn fan, he attended the University of Texas receiving his Bachelor of Science degree in Mechanical Engineering while on a football scholarship. He was proud to be in Coach Darrell Royal’s first recruiting class and was a member of Alpha Tau Omega fraternity. After graduation, he served as 1st Lieutenant in the HHC 127th Engineer Battalion 11 Air Assault Division Third US Army as an Airborne Jumpmaster. He completed his military experience as a Captain in the Texas National Guard. 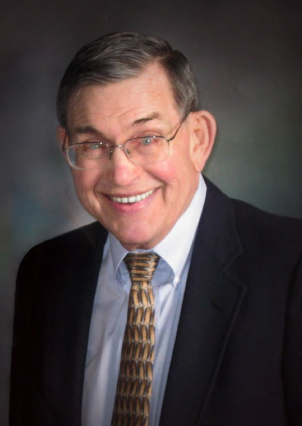 Returning to school, he received a Juris Doctor Degree from Baylor Law School in 1967. He practiced Patent, Trademark and Copyright Law; Unfair Competition; and Intellectual Property Litigation as a Senior Partner at The Crutsinger and Booth Law Firm in Dallas, Texas until his retirement in 2008. Gerald was licensed to practice law in the state of Texas, before the U.S. Supreme Court, before the U.S. Patent and Trademark Office, before U.S. Court of Appeals, Federal 5th Circuit, and before the Canadian Patent Office. He was a member of Texas State Bar Association, Dallas Bar Association, Dallas-Fort Worth Patent Law Association, American Intellectual Property Law Association, and International Trademark Association. His special achievements include: Associate Editor, Baylor Law Review; Phi Delta Phi Legal Fraternity; and President Dallas-Fort Worth Patent Law Association. Gerald coached all three sons in YMCA football and enjoyed hunting and fishing with his family. He was an active member of First Baptist Church Carrollton. He enjoyed traveling with his wife, Carla, especially in Europe. Last summer was highlighted by a family cruise to Alaska to celebrate their 50th wedding anniversary (Sept 4, 1961).